Byron is a contemporary composer who to date has released about half a dozen albums on Cold Blue Music as well as a few more on other labels, and like many or most Cold Blue releases, the composer is not the performer. In this case the 21-minute two-part “Fabric for String Noise” was composed for the duo String Noise, “avant-punk” classical violinists Conrad Harris and Pauline Kim-Harris, who have been active on the NY scene since 2011, having performed over 50 works by various composers. 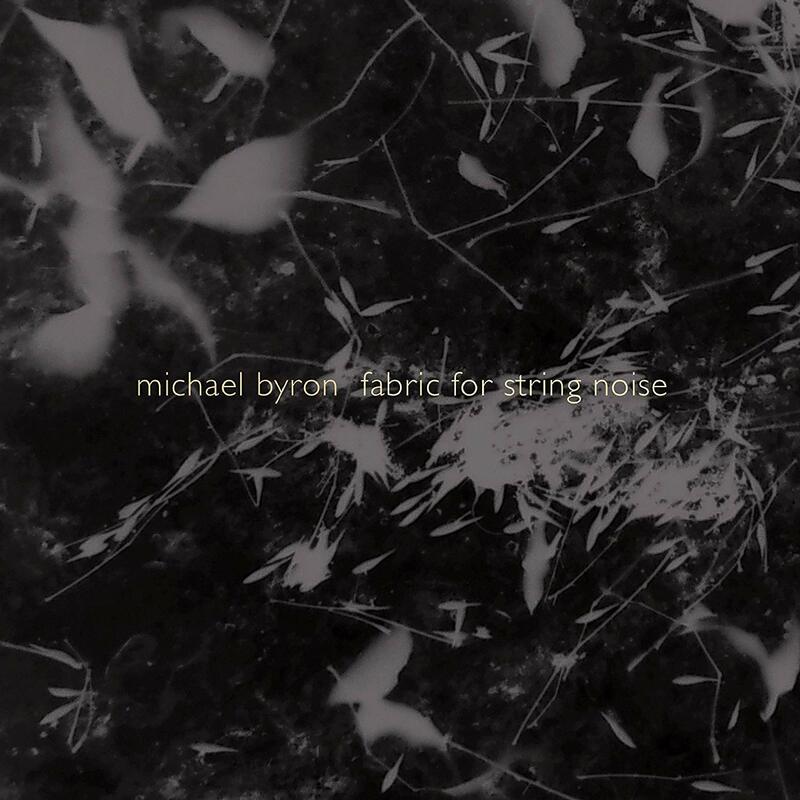 “Fabric for String Noise” is aptly described as a “tremendous and relentless river of complex polyphony and polyrhythms” and in fact that is correct. There is a constant interaction of high-register violin playing, fast notes that restlessly move within a colorful mathematical tapestry that only lets up at the break between the two parts, at times vaguely reminiscent of chinese classical music, but missing the culture behind it. What we have here is wonderful and, to a degree, cosmic, but one needs to listen to it intently to appreciate the full scope of what’s on offer, otherwise it may seem like just a bunch of screechy noise and certainly not a pleasant experience as background music. The third track here is “Dragon Rite,” a mesmerizing piece written for four bowed double-basses, although all of the four parts are all performed by James Bergman, a Los Angeles based graduate of the Juliard School. The piece is only eight minutes long, and slowly morphs, groans, and grows among the lowest of registers, with any one of the four parts often going silent, thereby allowing one of the others to be heard through the dense fabric of the piece. It’s difficult to relate in words what is mysteriously circulating throughout this piece, but to the listener it will likely be a truly immersive experience, though I could use more than merely eight minutes of it. So the disc is only about thirty minutes in length but represents both extremes of the string experience: the high register, nervously restless fabric of two violins, and the low-end soothing fabric of four basses.